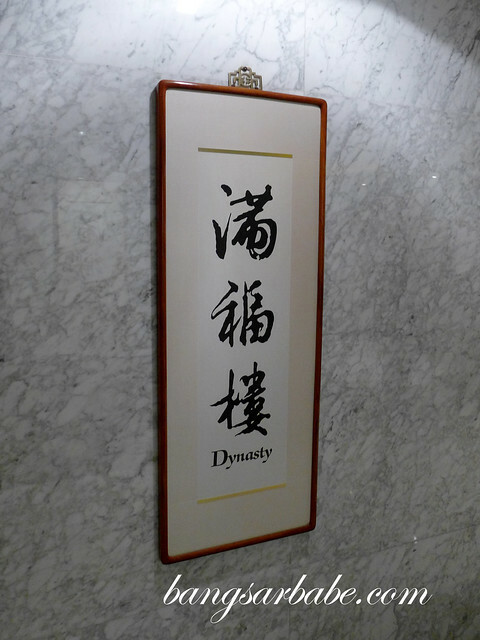 I feel very privileged to have dined at the award-winning Dynasty Restaurant at Renaissance Hong Kong Harbour View Hotel during my impromptu trip to Hong Kong last month. 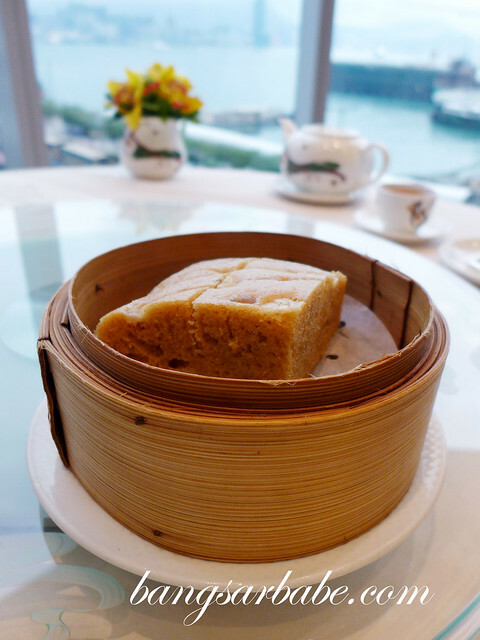 Dynasty serves authentic Cantonese cuisine with a spectacular view of the Victoria Harbour through its floor to ceiling glass windows. 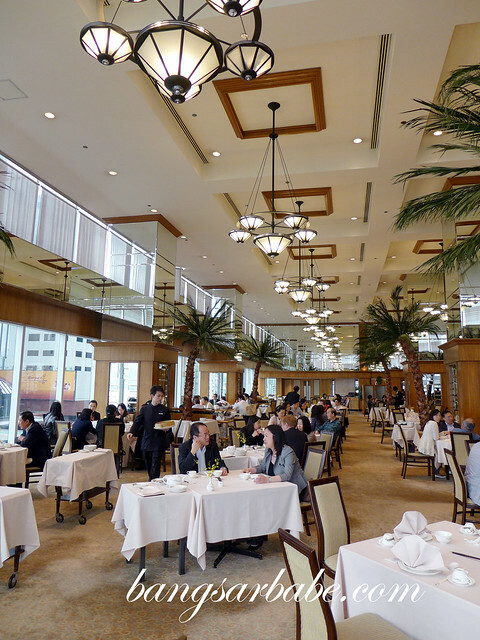 The restaurant is spacious – with six private dining rooms – and the interior is elegant and inviting. 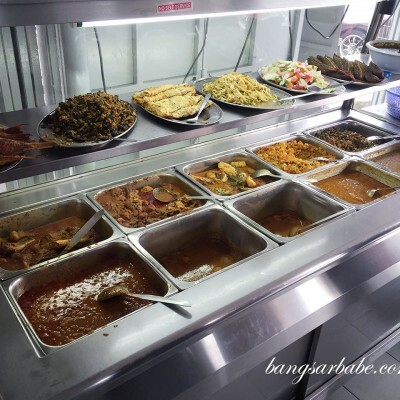 Cantonese cuisine is often compared to French cuisine as both are based on fresh ingredients and natural flavours. 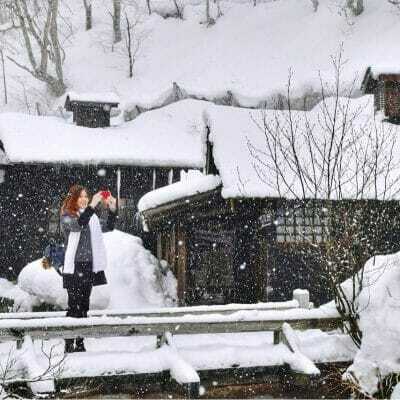 rif and I tucked into a delectable 6-course lunch, followed by dessert – all tasty in their own way. The trio of barbecued pork, roasted chicken livers and simmered baby pig’s trotters left me wanting more. Beautifully executed and tasted amazing. 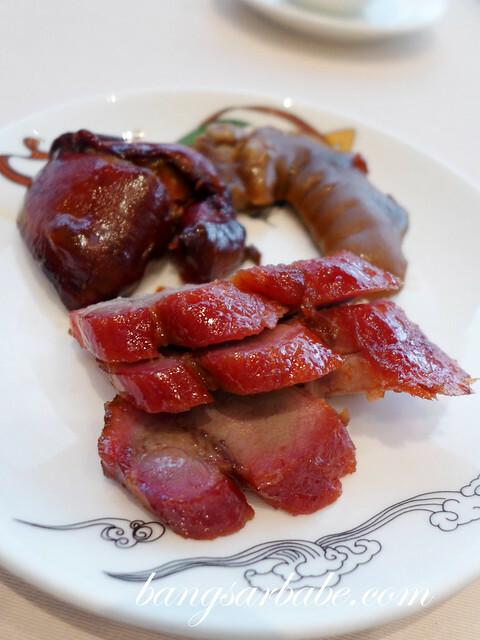 Char siew in Hong Kong is of the leaner variety, less of sticky-sweet sauce and more to the flavour of the pork. Only the best part of the pork (the shoulder) is used, to ensure its tender texture. You need to call the restaurant and book this in advance. I’m no fan of chicken livers, but this was a smoky sweet surprise with tender centre. I cleaned my plate, together with the trotter which was delicious by the way. 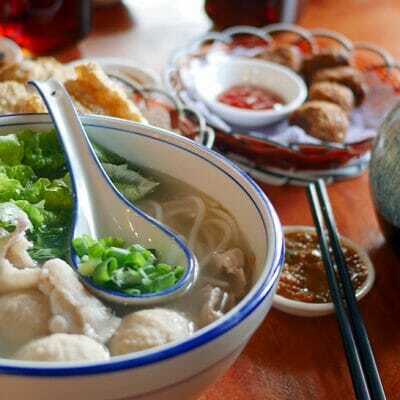 Dim sum is a must-try at Dynasty, evident from the delectable pan- fried glutinous rice dumpling with minced pork, dried shrimp and yellow bean, deep fried vegetarian rolls with water chestnut and steamed shrimp dumpling with garlic. Steamed fresh crab claw with parsley and preserved egg appealed to both the eye and mouth. I was told the chef will only serve this dish if the quality and size crab is up to par. A delicate chemistry that showcased the freshness and sweetness of the crab. Double boiled pork and shrimp dumpling in supreme soup was another winner. Flavours were savoury yet subtle, and the dumpling was by far, the best I’ve eaten. I left not a drop in my bowl. I have a good feeling my mother will love the food in Hong Kong. 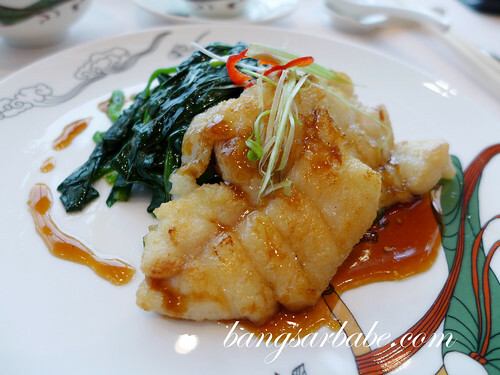 Dishes are light and hardly oily, like the pan-fried fresh fillet of garoupa with vegetable. The fish was crisp and cooked just right, lightly seasoned to enhance its natural flavour. 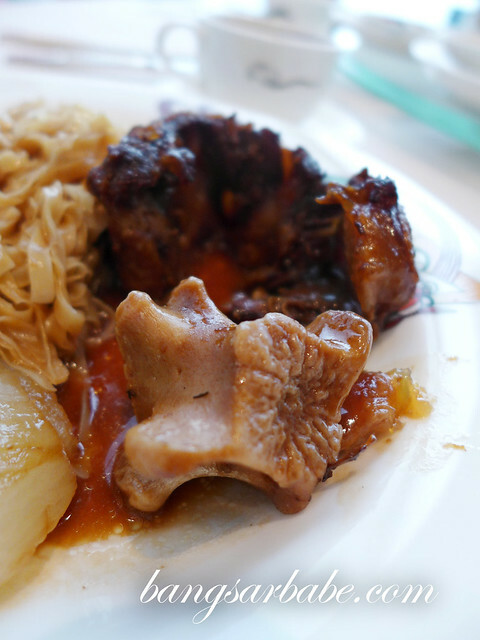 Braised noodle with oxtail and turnip is a simple but very well prepared dish. I would think so, as this award winning restaurant boasts a strong and long serving culinary team. The noodles (chor mein) had minimal lye taste, while the oxtail was achingly tender and fell apart with the prod of my chopsticks. Very tasty, this one. Dessert was the steamed sponge cake (ma lai goh), chilled sago cream with mango and grapefruit and sweetened almond cream with egg white. All good in their own way and not overly sweet. I really enjoyed the food at Dynasty. 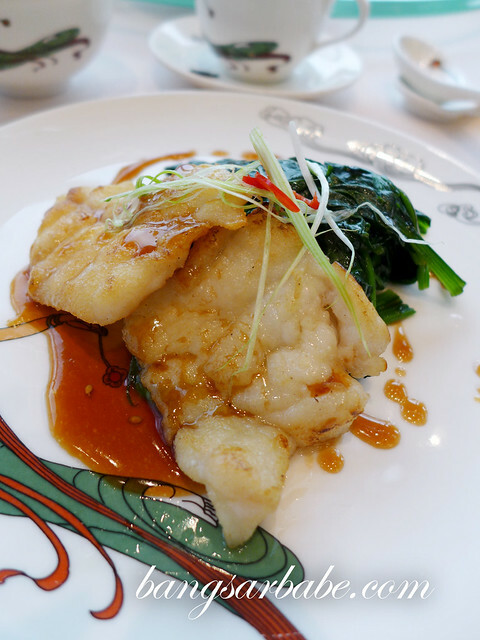 The dishes were innovative without compromising on the essence of Cantonese cuisine. Very impressive, and I do hope Dynasty Restaurant wins back its Michelin star (it was awarded Michelin Star for two consecutive years since 2010). For more information about Renaissance Harbour View Hotel Hong Kong, visit the official website here. 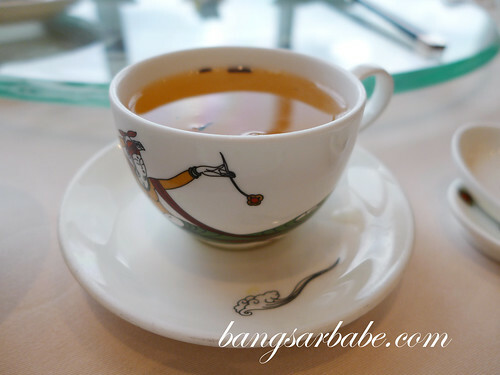 Verdict: Delectable Cantonese cuisine in an elegant atmosphere. Truly an amazing experience! 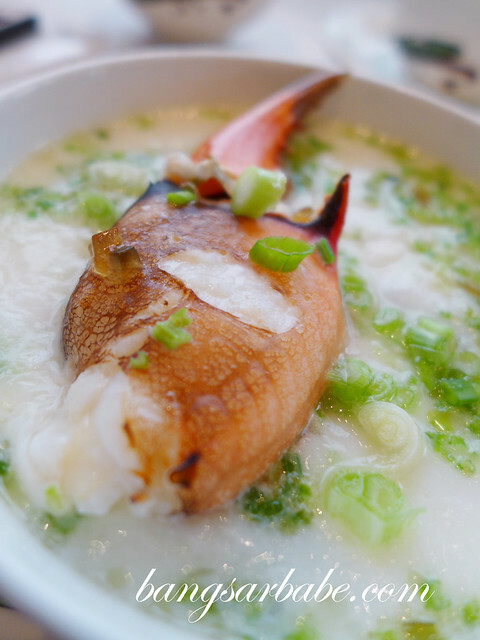 That bowl of Steamed fresh crab claw with parsley and preserved egg porridge looks so yummy and good! The crab claw sure does look good.